Poul Holm​​​​​​​​​​​ is Professor of Environmental History at Trinity College Dublin, Ireland. 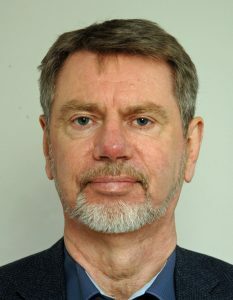 He is the Director of the Trinity Centre for Environmental Humanities and President of the European Alliance for the Social Sciences and Humanities. Poul holds guest professorships at the University of Gothenburg, and at Renmin University, Beijing. Poul has played a leading role in the development of marine environmental history and as a historian has collaborated extensively with marine scientists and oceanographers. He was one of three co-authors of the Humanities World Report (Palgrave 2015) and was recently co-chair of the SAPEA evidence report on Food from the Ocean presented to the European Commission. His current research is an ERC-funded project on the North Atlantic Fisheries History 1400-1700 CE.